A recent Politico article considered several of the major decision-making roadblocks for college seeking veterans, such as the legal and regulatory scrutiny some colleges have faced for practices that have seriously hurt college students. The piece points out that the Veterans Administration (VA) doesn’t have a mechanism to inform prospective student veterans of the issues with colleges and universities that have been the subject of these actions. The truth is, though the Post-9/11 G.I. Bill is the most generous, comprehensive federal education benefit in existence, most information provided by the Department of Education, Department of Defense and the service branches is focused on how to access the benefit and not how servicemembers, veterans, and their families can get the most “bang for their buck” when they use their educational benefits. One issue that we hear come up repeatedly is the challenge of making an informed decision on where to use GI Bill and Military Tuition Assistance benefits. This gap in information for veterans thinking about going to college leaves many veterans vulnerable to deceptive and misleading practices by some educational institutions. Most people respond that student veterans must do their own due diligence. But how can they? And why should they have to rely on their own investigations when others have already been conducted? The Attorney Generals of eight states are urging that information about bad actors be more widely available in a recent letter to the Department of Veterans Affairs for instance. Due to these deficits in information, and difficulty in navigating existing resources, the majority of transitioning service members are not in a position to make fully-informed decisions on their education paths, including which colleges and universities they will attend, for what degrees and programs of study, and to how to connect their education paths to the long-term career opportunities to which higher education contributes. Military veterans are not fully aware of the difference between not-for-profit public and private schools, and for-profit private schools. They don’t know how their existing education credits will transfer into the schools and colleges they are considering, nor are they aware of articulation agreements between community colleges and four year universities that may make college more affordable. 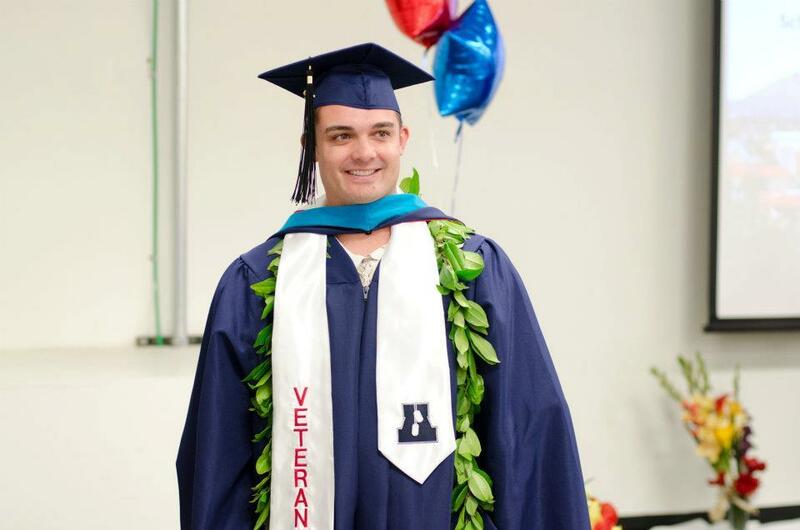 Like most traditional prospective college students, student veterans are not experts on accreditation and its importance or on the scorecards issued by the Department of Education. In many cases, they are not even aware of the College Net Cost Calculators required to be available from each college and university. And most importantly, they don’t know what sources are credible versus which are simplylead generators for colleges and universities that pay for placement on their lists or in their search results. While SVA cannot make decisions for them, here is what we can do for prospective student veterans: we can provide guidance and a comprehensive source of information on the tools that are available and how to effectively use the tools, advice on the importance and weight to give to varying information sources, access to our chapters and our members, and provide a platform for our alumni to engage with prospective student veterans. We can build pointers to the databases of regulatory and legal actions, news of settlements, bad actions documented by others, and more. We can help individuals make connections to the resources and people who can help them make the best decisions for themselves and their families. We can also help colleges and universities understand how to reach student veterans and provide them with the right information to attract them to their programs of study, help them make good decisions on how to best use their G.I. Bill benefits, or other financial resources and non-financial supports, leading to successful degree completion and meaningful careers. The best informed students may become the best alumni and boosters for their alma maters, stay connected to their chapters, and be resources for prospective student veterans and transitioning service members and family members. With these needs in mind, here are 7 things for prospective student veterans to consider in choosing their college or university. College fit matters: Consider size, programs of study, locations, financial aid, student support services, proximity to VA healthcare, cultural competency of the college or university, and more;Choose a college or university with high graduation rates; Check the track record: Choose a college or university with high placement rates for graduates in their field. A few resources include: US Department of Veteran Affair Know Before you Go, US Department of Education College Scorecard,US News and World Report Best Colleges, US News and World Report Best Graduate Schools, US News and World Report Best for Veterans, MBA Rankings – Poets and Quants. Consider the source: Consider which rankings sites are reliable and recommended, and how they can guide you to making the right decision. Each ranking tool notes its methodology for ranking, and each has different strengths. Consumer Reports provides an overview of ranking tools and guidance on how to make decisions. Do your research: Check into complaints, lawsuits, government actions and fines, watch lists, and more [Resources: FTC, US Department of Veterans Affairs, and US Department of Education. See others listed below]. Consider the numbers in context: A one year or two-year blip in a data trend may not indicate a problem, but low rates of employment, high loan default rates, or long-term wages lower than you expect might suggest making a different choice. Institutions that are showing signs of trouble can be placed on Heightened Cash Monitoring by the U.S. Department of Education. To learn more about which institutions might be on this list visit the Federal Student Aid website. Location, Location, Location: Think about where you live now, where you can attend college due to proximity or cost, and where you want to live in the future. See the USAA Best for Veterans Guide. The most recent edition has best for careers, entrepreneurship, and education-focused lists. Consider on campus veteran friendly initiatives: Is there an SVA chapter? Do they have day care for veterans with families attending the university? Is there a militarily friendly culture? SVA will continue to offer resources, building on the list above, in the coming weeks. We’ll provide resources for informed decision making even while we advocate for changes in law and policy that accelerate student veteran success. When we ensure that military education dollars are well-spent we give our veterans and family members the potential to become an important part of the engine that drives our economy forward. This blog post originally appeared at http://studentveterans.tumblr.com/post/140641022526/seven-tips-for-student-veteran-success and at http://studentveterans.org/index.php/media-news/in-the-news/531-seven-tips-for-student-veteran-success. James Schmeling is CEO and founder of VTRNgroup, LLC. He's also Executive Vice President, Strategic Engagement for Student Veterans of America. James co-founded the Institute for Veterans and Military Families in 2011, was one of the founders of the Burton Blatt Institute, and was formerly interim co-director of the Law, Health Policy and Disability Center and the University of College of Law.